The Bar and Bat Mitzvah years are transformative: our youth seek significance, they want to be somebody. We at Explore ~ Lech Lecha believe that your child is, indeed, somebody great, and that deepening connections with Jewish peers and values will support them in contributing uniquely and substantially to our world. 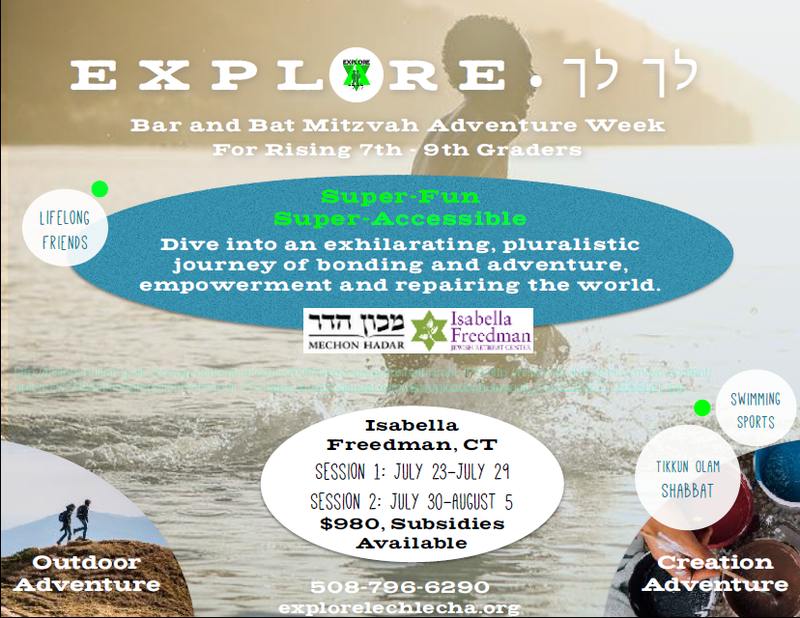 Explore is a one-week, one-time, pluralistic summer program held at Isabella Freedman following 6th, 7th and 8th grades. Our two adventure tracks, Outdoor Adventure and Creation Adventure, transform motivation into action by encouraging self-expression and social justice, leaving campers confident in their ability to contribute to our community and the world. Stay Tuned for Summer 2018 Details!